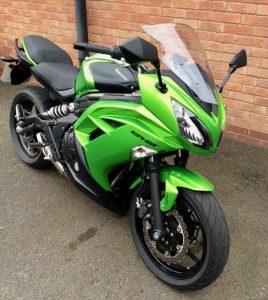 Kawasaki’s take on the budget middle weight bike market, first launched in 2006 and sold until 2016, it is based on a liquid cooled parallel twin engine which is light, easy and smooth to ride. Extremely popular with new riders due to it’s low price and relaxed ease to ride with smooth fueling and clutch. However, looks can be deceiving as the ER-6 dominates the lightweight class at the Isle of Man TT, albeit in race trim. Testament to the core design of the bike and it’s engine, that’s very much apparent when you wind up this little bike. Fuel economy is good at 55 mpg+ and with few complaints on reliability. The low seat height and thin frame make the ER-6 very popular for shorter bikers and women. It can happily be restricted for an A2 license too. Obviously, being a budget bike costs have been cut, the suspension is a bit soft and basic and the finish doesn’t always hold up well to winters uncared for. Common issues to look out for on pre-2012 models are cracked down pipes by the muffler and cracked top engine mount from minor prangs. Brakes seals can also get clogged up if not cared for (though easy to remedy) and the ignition barrel can fail. There’s loads of these ER-6’s out there, some with ABS, so be picky, walk away from any looking rough. The ER-6 came in ‘n’ naked or ‘f’ faired flavours. 2012 saw a refresh with new frame, slightly more powerful engine, new dash and other updates. 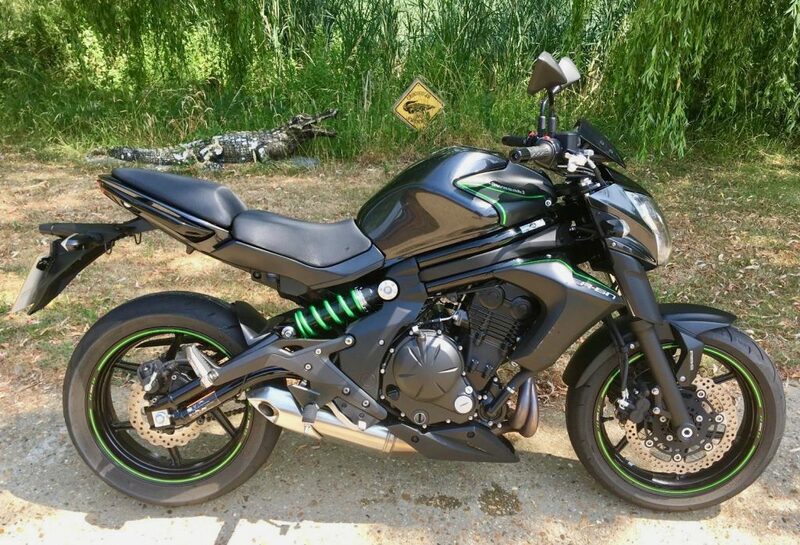 Kawasaki Er6n 59,reg low miles fantastic condition.5000 miles !